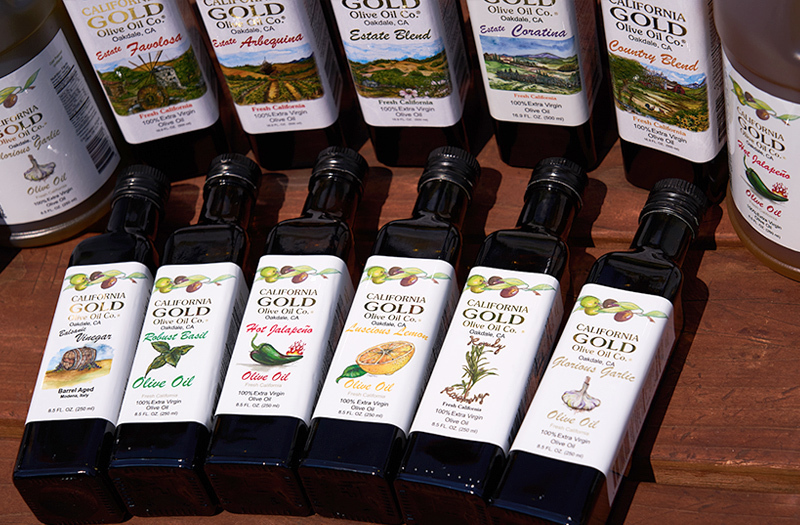 Award Winning Premium Extra Virgin Olive Oil | California Gold Olive Oil Co.
Be sure to visit our online store to read the Tasting Notes and purchase some of our Award Winning Premium Olive Oils from Oakdale, CA! VISIT OUR STORE & SHOP NOW! 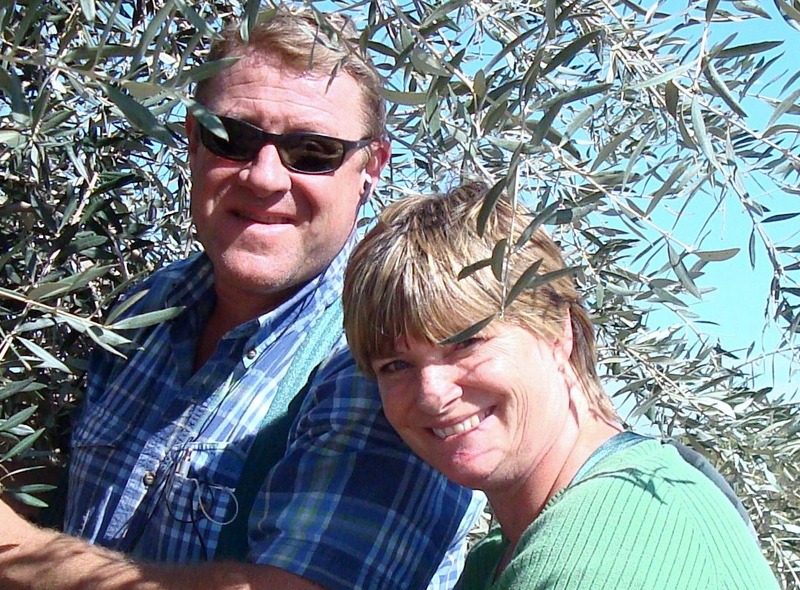 Welcome to the California Gold Olive Oil Co.
Our goal is to produce some of the finest gourmet olive oils available. We are a small family run operation located in the beautiful foothills of Oakdale, California, where we produce our award winning premium extra virgin olive oil. All of our oils are of the freshest quality, and certified extra virgin by the California Olive Oil Council (COOC). We are always producing new products, check back often! Our Premium Products make Fantastic Gifts. If this is your first time visiting our website, please take a few moments to look around. There is a lot of information, and please check out all of our products. We are excited to introduce our some new products that we have for sale. First we have our newest single varietal, our Estate Coratina. 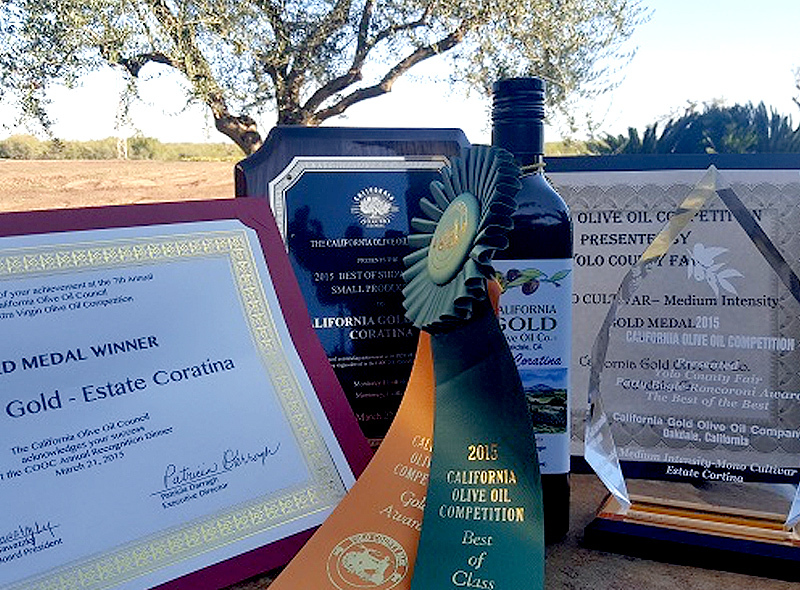 In its debut year in 2015 it won numerous and prestigious awards; 2015 “Best of the Best” Yolo County & “Best of Show” small producer California Olive Oil Council to name a few. It continues do do well at competition. Try some, you won’t be disappointed! Next, we now carry flavored olive oils. We have Jalapeno, Garlic, Basil and Rosemary. These are not infused oils, but the products are crushed directly with the olives for a fresh taste that can’t be beat.